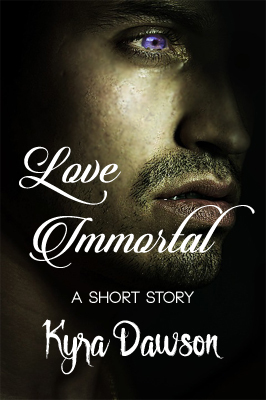 Sookie returns home to an empty house which is alarming considering the circumstances. Lala is at Fangtasia and Pam is roughing him up a bit in the cellar when Tara appears with a gun loaded with wooden bullets. They strike a deal with Pam who gives them 24 hours to bring Marnie to her and Pam allows them to leave. At MoonGoddes Marnie is alone and inviting the evil spirit who possessed her to use her as a conduit. She seals the deal with a blood sacrifice by cutting into her arms. She doesn’t know it yet but the spirit is there watching avidly. This one offer the evil spirit won’t be able to refuse. Things are getting worse for Jason and Crystal is using him against his will and I have a sick feeling she won’t be the only one. I feel so awful for him. He wishes that he never laid eyes on Crystal. As Sookie is reading a book written by none other than Charlaine Harris a bright light appears outside and that can only mean one thing. 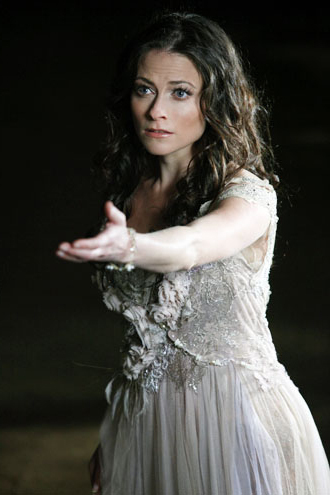 Sookie goes outside to find Claudine and the faery is trying to convince Sookie to come back to Faeryland with her. Not a chance in seven hells Claudine! Sookie doesn’t trust Claudine even though Claudine claims to have helped her in the past. Suddenly, who should appear? It’s Eric and he’s hungry. 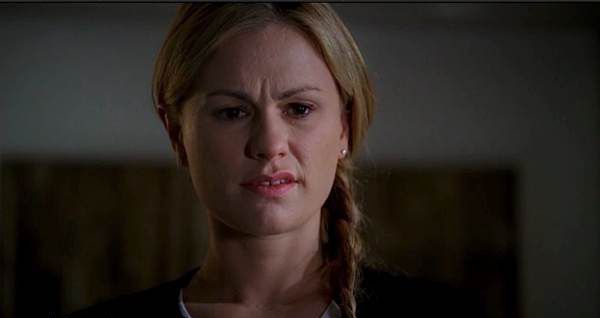 When Sookie says, “You just killed my faery godmother,” I couldn’t help but laugh. It was priceless! And isn’t Eric’s smile adorable? It’s my favorite scene of the night in an episode that was full of hilarious, shocking and adorable moments. My only complaint was that there wasn’t enough of Eric and Sookie’s storyline. True Blood sure knows how to keep us hooked. Next week should prove to be another whopper of a show too. Check out the preview and be sure to tell me what your favorite moment was tonight. awesome, Bill, Buzz!, entertainment, Eric, faeries, Fantasy, Favorite Things, HBO, mindbending, Paranormal, recap, review, romance, shape shifters, Sookie, supernatural, True Blood, TV, Vampires!, werepanthers, werewolves, witches. Bookmark.